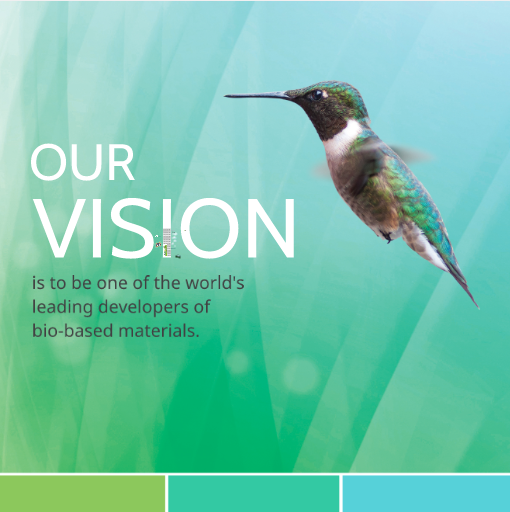 At EcoSynthetix, we're proud of what we've accomplished so far, but we're even more excited about what's still to come. We're honoured to have received a number of industry awards that recognize our accomplishments so far. PROFIT is Canada’s leading media brand dedicated to entrepreneurial business. The magazine publishes an annual ranking of the country's fastest growing companies by five-year revenue growth. EcoSynthetix placed on the list in 2014 and was ranked the third-fastest growing company in Canada in 2013. EcoSynthetix received this award from the Burlington Chamber of Commerce in 2014. Nominations were based on overall excellence in business leadership, community contributions, entrepreneurship, environment, employee welfare, innovation, and market growth. EcoSynthetix was named to the 'Fast 500' list of North America's fastest growing companies by Deloitte in 2013 and 2012. In 2012, EcoSynthetix placed second on Deloitte's list of North America's fastest growing Cleantech companies, and second on its Canadian 'Fast 50' list. In 2012 and 2011, EcoSynthetix was named to Deloitte's 'Green 15' list. Our CEO, John van Leeuwen was honoured to be named to the 'Clean16,' a top position on Canada's 'Clean50' list, an annual award recognizing business leaders who have made the greatest contributions to sustainable development or clean capitalism in Canada. Life Sciences Ontario named us the Emerging Life Sciences company for our development of the renewable chemicals market and our contribution to the Ontario bio-economy. EcoSynthetix' co-founders were named 'Entrepreneurs of the Year' in the Cleantech category for Ontario. EcoSynthetix received an award in 2012 from SCI. The award recognized outstanding service to an industry that is based on chemistry, for its processes and/or services, in the international sphere. Awarded by PwC to a Canadian organization recognized as an emerging technology leader with innovative green products that have demonstrated success in the market and strong revenue growth. EcoSynthetix received this award in 2011 from the Ministry of the Environment for the Government of Ontario. The award is given to an organization that has made significant contributions in the field of green chemistry and engineering in the province.